I’ve been a bit busy lately, both personally and professionally, which has resulted in a bit of time between posts. Personally, I moved (from Woodland Hills, in the San Fernando Valley, to Playa Vista, near Marina Del Rey) about 3 weeks ago. This represents a kind of homecoming for me, only a year after coming home from a few years in Florida, as I lived in the Marina on and off for almost 10 years. I’ve always loved living near the beach, especially here in Los Angeles during the summer months, as during the day, it’s almost always at least 20-30 degrees cooler than it is in the Valley (yes, you read that right: it can be 105 degrees in the Valley, while at the beach – less than 10 miles away if you’re in Woodland Hills – it’s only in the mid 70’s). 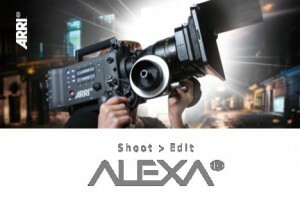 Professionally, I’m now working for a digital intermediate and post facility called Next Element by Deluxe, in Burbank. Next Element has been a working digital intermediate facility for the last 7 years (it was previously known as Hollywood Intermediate), and was recently acquired by Deluxe Digital Media. The company has expanded its focus into television post production, and that’s in part where I come in. My actual title is Senior Colorist (along with Julius Friede, whom I’ve known for many years), although as with most smaller facilities, I’ll also be involved in helping to solve some workflow and technical issues along the way. The people at Next Element are top notch, from the management team, to the producers, to the technical staff, and I’m very happy to be with them. It also represents a reunion of sorts for me with an old friend, Bruce Long, who’s come in as President of Next Element, and is someone I’ve known for almost 20 years and worked with previously during my time at Encore Video. He’s also a very close friend, and the opportunity to work together again is something I’ve looked forward to for a long time. In addition, Next Element is one of the first of what I would consider a “new age” post facility, one that is almost entirely file based, with no use of videotape other than for ingest and delivery. The combination of a custom built Linux based infrastructure, Baselight color grading systems, and some very, very smart people makes for a rather unique atmosphere. I think (and hope) the industry will be hearing quite a bit about us in the near future. That’s enough about me. We now return you to our regularly scheduled blog posts, already in progress…. Welcome to The New Postworld. Postworld is created using the WordPress platform. WordPress allows the use of Themes to quickly design and modify the appearance of an individual site. Postworld is now using a theme designed by SRS Solutions called Arjuna. I’ve only slightly modified it for my use here. Since Postworld is primarily a blog, and primarily text based, I felt this particular theme allows it to be read a bit easier than the previous design. At any rate, I hope you enjoy the new look and find it a bit easier to get around. Yesterday, I attended the Red Day presentation done at Ren-Mar Studios (oops…. I meant Red Studios Hollywood – old habits die hard in this town..). Saw a lot of familiar faces, and met a lot of new ones. I especially enjoyed seeing Assimilate’s use of dual Red Rocket cards to provide live playout of stereoscopic Red material with full debayering in real time. That alone has a lot of potential that I hope to explore. Apple has always been one of the most interesting of technology companies, especially when it comes to new product introductions. They have proven themselves to be so innovative and original that when they don’t hit stratospheric heights right out of the box, it’s a major disappointment. They have also been so responsive to vastly different market segments (consumers, high end professional media folks, and everyone in between) that it’s sometimes difficult to see them as they actually are – which, to me, is a very successful consumer electronics company that also does some products for specialized market segments. And it is from that perspective that I look at their latest product, the iPad. The iPad is not a desktop computer. And it is not a laptop, which in itself has become a physically smaller and more portable version of a desktop computer. It is, for lack of a better description, primarily an Internet portal, plain and simple. Connectivity is its primary purpose in life. And that connectivity is provided in a physically small package with a not so physically small screen. Since there is no keyboard or pointing device (it uses a virtual keyboard, like the iPhone, but it can attach to an external keyboard as well), it is a single piece that does essentially all of its user interaction via a touch screen. 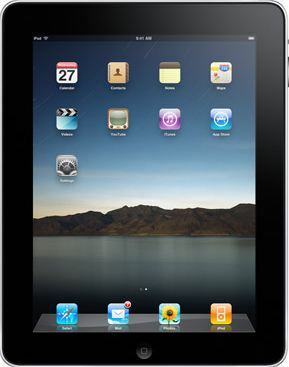 For many, it seems that the iPad is nothing more than a much bigger iPod Touch. And to some degree, this is true. It even uses the same operating system and runs the same applications. But to judge what the iPad is by its first incarnation is to overlook the history of Apple as a company, and how it both introduces and evolves its products. 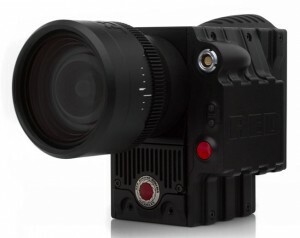 Earlier this week, Red Digital Cinema released information regarding some future products, in particular their Scarlet camera and Red Ray media player. I wanted to take a few days to go over the details and hear others reactions before posting mine. Scarlet is an attempt to enter a new market segment for Red, who basically defined their own market with their first product, the Red One. The price/performance of that product was something that really hadn’t been seen before and a lot of people in the mainstream production industry really didn’t know what to make of it. But in the approximately 2 years since its release, it has established itself as a strong player in some very specific areas. Independent filmmakers (now redefined not as those who are working for independent studios, but as those who are working for themselves) latched on to the Red One as a device that could give them images that went considerably beyond what was available with “prosumer” video cameras, such as the Panasonic HVX200, which had become quite popular for this type of use. Some more experienced cameramen saw it as something they could afford to own and present themselves as owner/operators on a wide variety of productions, but particularly in music videos and commercials. In fact, in that two year period, the Red One has found pretty wide acceptance in that community. In what I would refer to as the “mainstream” industry, it has been used on a few sizable feature films, as well as a few television series, but it has seen much more success in the commercial world. The Scarlet represents an attempt to move, for lack of a better term, downmarket with a product that is smaller, simpler, and has a much lower price point. Surprisingly, Red plans to endow the Scarlet with a great deal of the functionality and image quality of the Red One and its successor, the Epic, and the ability to share a lot of peripherals with the Epic line, allowing both to be used together in a lot of situations. Like much of what Red has done so far, this is an approach that has never really been tried by the “traditional” camera vendors, and clearly reflects Red’s out of the box thinking.